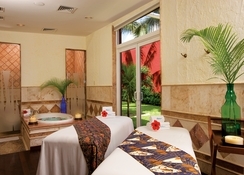 Pamper yourself at the Zoetry Paraiso de la Bonita Riviera Maya, a luxurious haven blending endless privileges with romance, serenity and wellness. 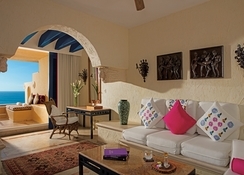 Its graciously appointed suites offer spectacular ocean views that delight all its guests. 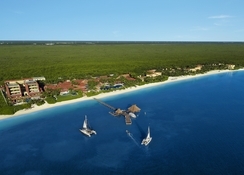 This resort has been identified as AAA Five Diamond for 15 years consecutively. All the 100 sea-front suites are well-decorated with hand-made art from across the world, they reflect seven cultural regions. 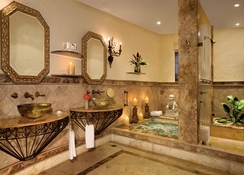 Each suite has contemporary bath amenities, massive private terrace and much more. The restaurants here give you the option to choose from a wide-ranging and healthy cuisines featuring both local and international delicacies. 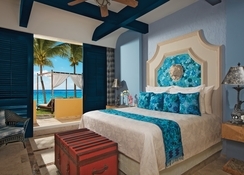 The Zoetry Paraiso de la Bonita Riviera Maya is ideally situated in Puerto Morelos, Mexico. The world’s largest reef is only seven minutes’ drive away, where you can go for snorkelling. 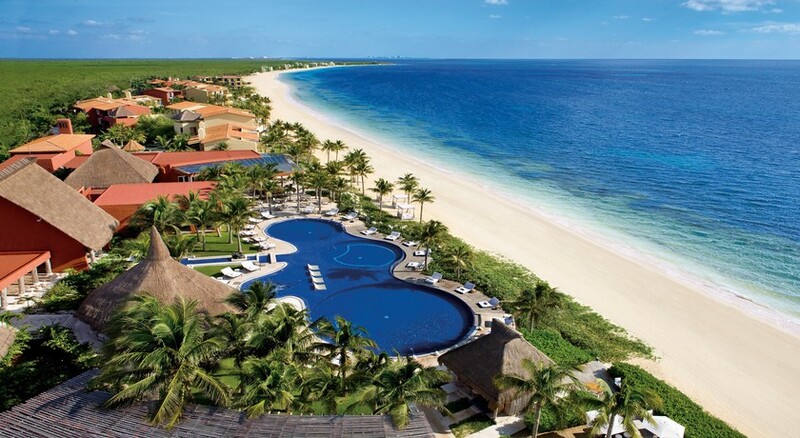 The hotel is just 20 minutes’ drive away from the Cancun International Airport. This award-winning resort houses 100 sea-front suites showcasing handmade art that represent Balinese, Mexican, Hindu, Oriental, Caribbean, Mediterranean and African customs. The suites in the resort are categorized as Impression Ocean Front Two Bedroom Presidential Suite With Private Pool, Impression Ocean Front One Bedroom Suite With Plunge Pool, Impression Ocean Front Junior Suite With Plunge Pool, Butler Ocean Front Two Bedroom Governor Suite, Butler Ocean Front Master Suite Two Bedroom With Plunge Pool, Butler Ocean Front One Bedroom Suite With Plunge Pool, Ocean Front Master Suite Two Bedroom With Terrace, Romance Ocean Front Lover Suite, Romance Ocean Front One Bedroom Suite With Plunge Pool, Ocean Front One Bedroom Suite With Plunge Pool, Romance Ocean Front One Bedroom Suite With Terrace and Ocean Front One Bedroom Suite With Terrace. All suites come with the necessary amenities such as elegant Bvlgari® bath amenities, fine quality linens, large private terrace, recharge station for digital devices, an ocean front view and more. The suites offer either a king size bed or two double beds, a large private terrace, a sitting room, maid service three times daily, 24-hour in-suite dining, mini-bar, free Wi-Fi, flat screen TV, tea & coffee making facilities, hair dryer and an in-room safe. At Zoetry Paraiso de la Bonita Riviera Maya, there are ample dining and drinking facilities to keep your taste buds satisfied. The El Chiringuito Beachside Grill serves chicken, seafood, steak and many other favorite grilled delicacies on a mesquite wood fire or a zapote right on the beach-front. Head to the La Canoa Restaurant, if you are looking for a well-furnished and decorative atmosphere, it serves cuisine de los soles, which is based on chilies and spices. Hit the Restaurant Kaax, where you will find international dishes with a Mexican twist. For alcoholic and non-alcoholic drinks, go to the Sushi & Ceviche bar, which is open for lunch too. In addition to 3 scrumptious dining venues, the hotel’s guests will have exclusive access to 2 more divine eateries, which takes the prize-winning hotel’s dining experience to the top-most level. Explore the Immersion Club for indulging in top-notch dining experience, which reflects a sense of taste, harmony and balance. It comprises the Asian Fusion Restaurant, which serves unique delicacies to satisfy any palate. Or you can also enjoy international a ala carte and Mexican dishes, while gazing Immersion Club’s splendid marble tables. There are several sports, entertainment and leisure facilities to keep you occupied on your holiday. Tee off to the Grand Coral Riviera Maya Golf Course, which is just a few steps away from the resort by taking advantage of complementary greens fees. Apart from this, the resorts guests can enjoy a wide array of services and amenities at the Beach Club and the Grand Coral Club House. Guests can freely use the fitness centre, dressing rooms, swimming pool, Jacuzzi, sauna and steam bath. Bump into the marvellous Caribbean Sea with wide-ranging water sports, activities and excursions. Whether you are looking for exhilarating water activities such as scuba diving, snorkelling and diving or simply want to bask the sun in the warm waters. When it comes to music and entertainment the resort is one of the best in Mexico with live artists and musicians performing. 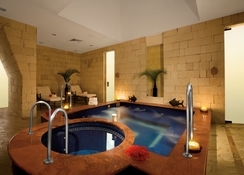 Some of the other sports and leisure facilities in the hotel include tennis, yoga sessions, culinary classes, Spanish lessons, cigar making, casino nights, breathing sessions, meditation, ceramic painting sessions and aqua gym.